Finnish 'Netflix for games' platform Hatch is set to headline and sponsor the first ever Cloud Gaming track at Pocket Gamer Connects Helsinki 2018. The games industry at large is increasingly harnessing cloud technology, whether to add extra power remotely to hardware or to stream full content, its influence is increasing. Hatch is working on its own cloud gaming platform designed specifically for mobile. It’s pitched as the world’s first service for discovering, playing and sharing a curated collection of games from more than 100 developers and publishers. Much like another trend, games can be played instantly without downloads, while there won’t be any in-game paywalls or limits. 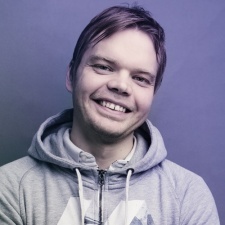 Opening up the Cloud Gaming track will be Hatch co-founder and CEO Juhani Honkala (pictured, main). Fellow co-founder Vesa Jutila meanwhile will participate in a panel discussion of key industry experts that will bring the track to a close. Honkala and Jutila will share their insights from Hatch’s European beta, as well as discuss the broader commercial and creative implications of cloud gaming. In particular they’ll focus on games that have performed best on Hatch so far and how subscription models could encourage different genres and types of games that are currently not able to monetise within the typical free-to-play framework. “As the cloud gaming pioneers, we are proud to welcome visitors to our hometown for the first ever cloud gaming track at Pocket Gamer Connects Helsinki,” said Hatch CEO Juhani Honkala. “In developing our service over the past two years, we have addressed challenges head on that many other publishers and games companies are only now starting to recognise and face.